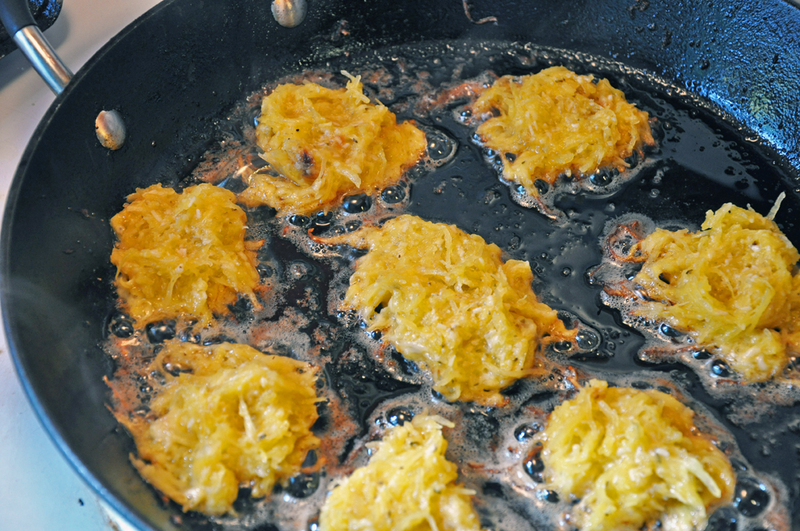 In my Culinary Institute of America (@CIAGreystone) CSA box last week, I received a spaghetti squash and a recipe to make fritters - a fantastic idea! I took the recipe and made some of my own adjustments, namely adding roasted garlic which I think makes just about any savory dish better. These come together in a snap and are quite addictive. 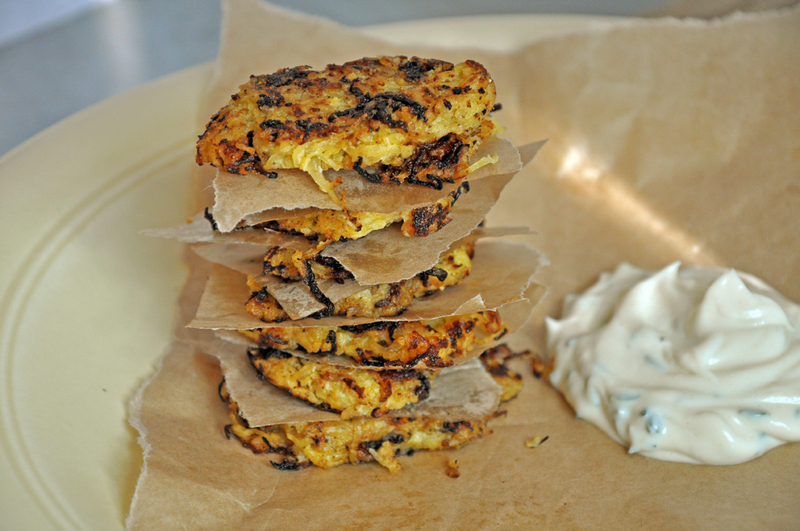 They may look a little over-done around the edges, but that makes them both crunchy and chewy to bite in to! The dip next to them is an aioli of mayo, lemon juice and fresh thyme. 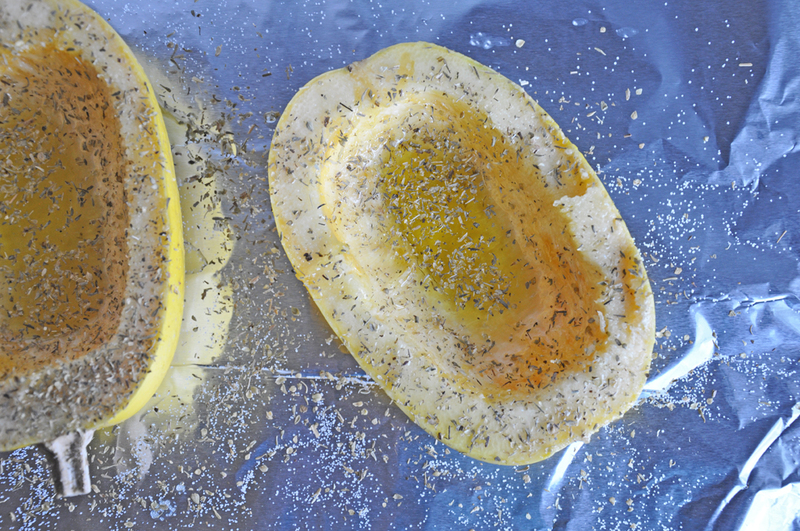 Place the squash, cut side up, on a baking sheet. Drizzle 1 Tbsp EVOO over each side and sprinkle evenly with salt and dried oregano. Wrap the garlic in foil drizzled with the remaining 1 tsp EVOO. Place next to the squash on the baking sheet. Bake 45 minutes until the squash is soft and pulls away from the sides easily, and the garlic is soft to the touch as well. Let both cool. In a medium bowl, whisk the egg, and then add the cheese. Squeeze the soft garlic cloves into the mixture. 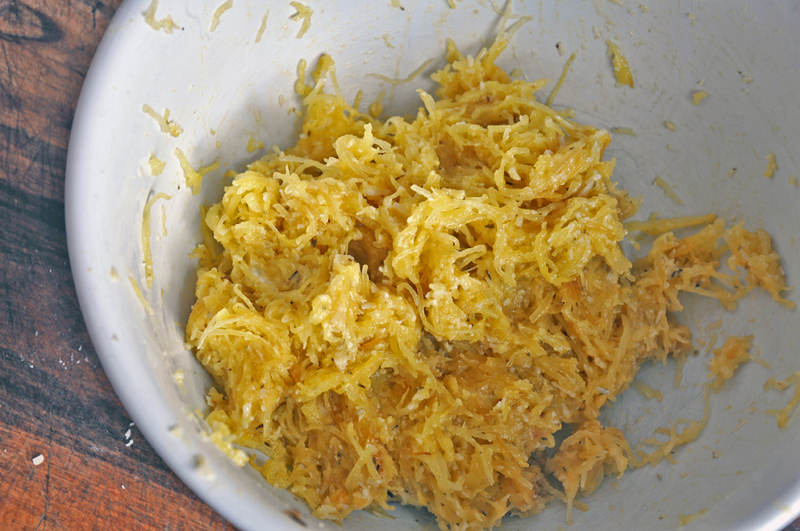 Grate the squash with a fork, breaking up any chunks, and add to the cheese-egg mixture, mixing well. In a large skillet heat 1 Tbsp canola oil over medium heat. 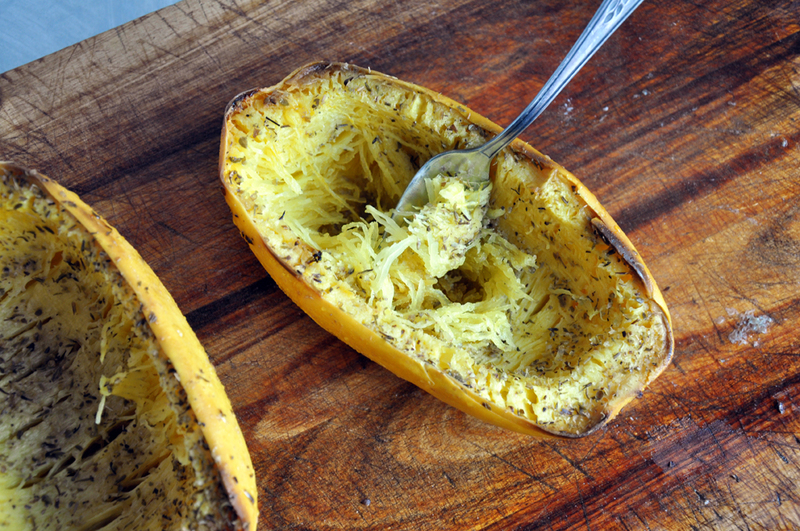 Add heaping tablespoonfuls of the squash mixture to the skillet and brown 3-4 minutes on each side. Repeat with remaining canola oil and squash mixture. Drain on paper towels and eat hot or at room temperature.